Beside classical fittings, barb fittings are another way to connect hoses with fittings. They are much more compact then classical fitting so that you can see more of the tube.. Very popular in Casemoddingsystems! This fittings has a 90° kink and is pivoted. That´s important for an easy tubing of the system. In difference to other fittings this barb fittings have a bigger inner! 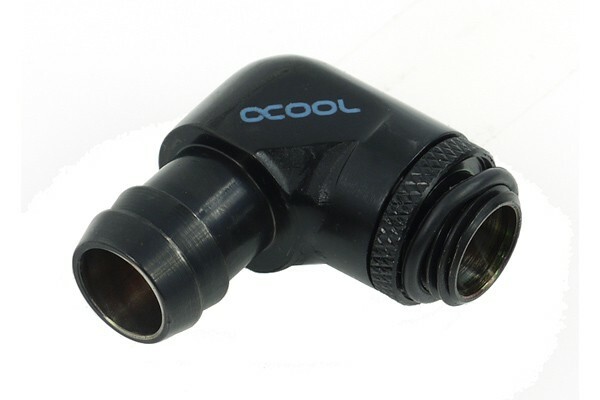 This fitting is unique in the Watercoolingscene because of his 13mm outerdiameter with 10mm fitting innerdiameter.